Although this is a contest, not a scholarship, we feel it should still be posted. Elementary school teachers: inspire your classroom students to craft essays that illustrate an experience they had with good sportsmanship. 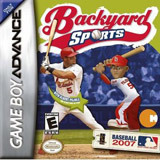 Up for grabs: prizes and cash from Backyard Sports. Student essays should be personal stories, completely original, and told in each student’s voice. Students win Backyard Sports tee shirt, hat and Nintendo DS game, a classroom pizza party and more. Teachers—submit the winning student essay and you may win $1,000. Student essayists must be between 8 and 11 years of age to participate. Essays must be original, on the topic of sportsmanship, unpublished and without obscenities. Essays may not exceed 300 words. Follow all details for submissions. Contest entries must be postmarked no later than January 15, 2008, the contest deadline. 5-$1,000 awards go to teachers that enter Grand Prize student essays and 5-$500 awards go to those that enter Runners Up essays. This entry was posted 11 years, 4 months ago in Athletic, Essay.